Men are born merchants and businessmen and as we can see, businesses flourish everywhere either as small or large scale enterprises. Doing business has corresponding responsibility and liability. To be able to run your business correctly, you need to know the business law governing your state where you have your business. 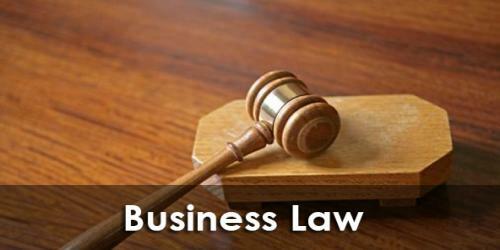 Business Law differs from states to states in the US. It is important what your law mandates regarding your contracts, your transactions and the applicable laws affecting the operations of your business in connection with salaries and wages, employment of workers and relationship towards your government. Business law interacts with other laws regarding some aspects of your business such as tax laws, bankruptcy and intellectual property rights. It also governs some transactions between businesses and corporations and between owners and employees. In doing business, you need to know your liability as owner or as partner in the case of the limited liability company. Knowing what rights are enforceable and what provisions of the Uniform Commercial Code are applicable in your state and in your transaction will save you from any unfavourable and costly litigation in the future when a problem arises. Knowing your obligations and responsibilities under the law will also save you from being fined by your government like failure to pay taxes or failure to renew your business license.